The European Union recently introduced a sweeping new privacy law called the General Data Protection Regulation (GDPR) that has had far-reaching effects for companies around the world. It’s the reason you’ve probably received so many privacy notices in your email inbox in recent weeks. Facebook was one of the companies that agreed to comply with the new law, not just in Europe but for all its users. 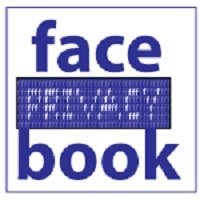 However, a new anonymous complaint filed with the European Center for Digital Rights accuses Facebook of deceiving users and tricking them into agreeing with these new privacy policies. According to the complaint, Facebook blocked users who did not consent to the new policies, and even tricked them into clicking through by offering fake notifications in the upper right corner of their profiles. “[Facebook] used additional ‘tricks’ to pressure the users: For example, the consent page included two fake red dots… that indicated that the user has new messages and notifications, which he/she cannot access without consenting — even if the user did not have such notifications or messages in reality,” the complaint said. If it proves to be true, this is an extremely devious tactic by Facebook to get users to blindly agree with the company’s new terms. Of course, given all of Facebook’s recent problems, this shouldn’t exactly come as a surprise.